Copyright: © 2013 Ch. Niranjan Patra. This is an open-access article distributed under the terms of the Creative Commons Attribution License, which permits unrestricted use, distribution, and reproduction in any medium, provided the original author and source are credited. Researchers have been inventing new drugs since time immemorial. 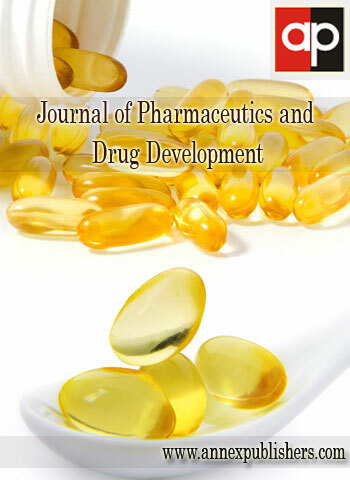 Of late it is established that the development of new drugs alone is not sufficient to ensure progress in drug therapy. The missing link is a potential strategy. It involves the apt selection of drug carrier systems. Lipid particles based on triglycerides, waxes or fatty acids as matrix lipids are being intensively investigated as potential carrier systems, in particular for lipophilic substances. The lipospheres system is a newly introduced lipid-based carrier system developed for parenteral and topical delivery of drugs. Lipospheres consist of water-dispersible solid microparticles of particle size between 0.2–500 μm in diameter and composed of a solid hydrophobic fat core stabilized by one monolayer of phospholipid molecules embedded in their surface. A new dimension in this area is delivery of peptides and oral delivery of drugs. The liposphere carrier system has several advantages over other delivery systems, including emulsions, liposomes and microspheres, such as: better physical stability, low cost of ingredients, ease of preparation and scale-up, high dispersibility in an aqueous medium, high entrapment of hydrophobic drugs, controlled particle size and extended release of entrapped drug. The liposphere system is endowed with two cardinal features. The internal hydrophobic core of the liposphere is composed of fats, mainly solid triglycerides, whereas the surface activity of liposphere particles is provided by the surrounding lecithin layer composed of phospholipid molecules. The liposphere formulations are prepared by a solvent or melt process. In the melt method, the active agent is dissolved or dispersed in the melted solid carrier and a hot buffer solution is added at once along with phospholipid powder. The hot mixture is homogenized for 2-5 min using a homogenizer or ultrasound probe, after which a uniform emulsion is formed. The milky formulation is then rapidly cooled down to 20oC by immersing the formulation flask in an acetone-dry ice bath while homogenization is continued to yield a uniform dispersion of lipospheres. Alternatively, lipospheres might be prepared by a solvent technique. In this case, the active agent, the solid carrier, and phospholipid are dissolved in an organic solvent such as acetone, ethyl acetate, ethanol or dichloromethane. The solvent is then evaporated and the resulting solid is mixed with warm buffer solution and mixing is continued until a homogenous dispersion of liposphere is obtained. The liposphere is characterized for their morphology, structure, particle size, viscosity, drug loading, drug distribution and in vitro drug release. Lipospheres can be used for parenteral delivery of local anesthetics, antibiotics, vaccines, adjuvants, topical delivery and targeting of anticancer drugs. Lipospheres have been successfully utilized for the delivery of variety of substances with the potential of targeting while avoiding systemic side effects. Further exploration can be made in this area of lipospheres which employs a fat lipid environment to achieve desired goal for controlled and safe delivery of drugs.